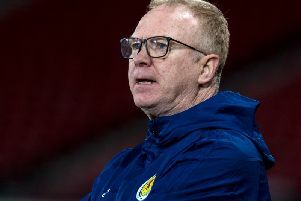 Scott McTominay has been forced to pull out of the Scotland squad ahead of Tuesday’s international with Hungary through injury. The Manchester United midfielder joins Grant Hanley and Matt Ritchie as three starters from Friday’s match against Costa Rica who will be unavailable for the second half of the friendly double-header. The 21-year-old was one of five players to make their Scotland debut in the 1-0 defeat on Friday night. He started the game before making way for Stuart Armstrong in the 58th minute. Scotland fans will now need to wait until late May to see him in a dark blue jersey after this injury set-back.